by Helsam to all health food stores. All the most important vitamins and minerals are present in Osforte +. We’ve added potassium, which helps regulate the body’s acid–alkaline balance. Osforte+ includes important B vitamins that are needed for digestion, metabolism and energy production. 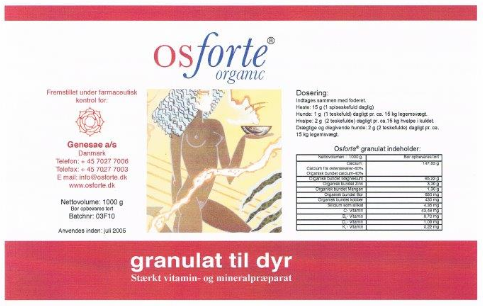 Osforte+ contains the most active minerals. High quality of all the ingredients gives the best vitamin and mineral supplements. Osforte+ is GMP certified and checked for pollutants and heavy metals. with a number of other minerals and vitamins. Osforte Calcium consists of easily absorbed and organically bound minerals, trace elements and vitamins, all aligned in the right proportion. Calcium is bound to citric acid (citrate) and all the minerals in Osforte Calcium are organically bound. The result is that the added nutrients are easily absorbed into the body. Natural vitamins are particularly important for the bone tissue health. The herbs in the Osforte calcium have a high natural content of the minerals boron and silicon. Boron is important for the absorption of calcium. Osforte calcium is GMP certified and checked for pollutants and heavy metals. Buy at Helsam webshop and in your local Health food store. Below is a selection of products we have made for our customers. 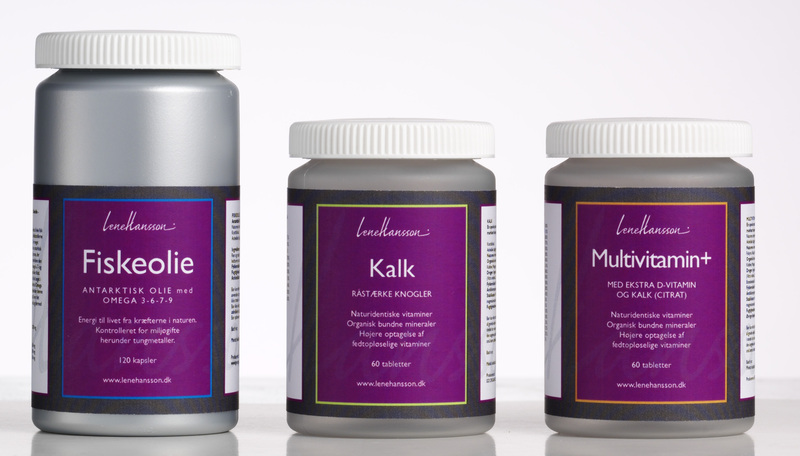 Active Vitamins – Organically Bound Minerals – Selected Beneficial Herbs. Vitamins are substances which your body cannot synthesize on its own, yet are necessary for healthy life. For B-vitamins in particular an introduction of new innovative active ingredients increase the absorption rate. can be recognized by the body. ensures a much better bioavailability. 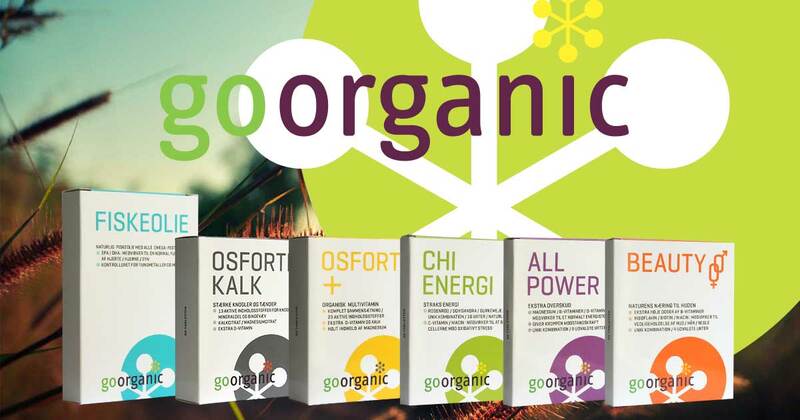 GoOrganic’s organic products contain expensively extracted vitamins and minerals to ensure the best bioavailability in the body. In addition, the products unique herbs, ensures an even higher bioavailability. An organic supplement which contains natural substances from plants. by the body than inorganic supplements. Compared to inorganic minerals and synthetic vitamins, organic supplements are much more expensive to produce. * You are quality conscious! Vital organic calcium supplements including Vitamin D for strong bones, with appropriate nutrients that the body uses when the calcium must be installed in the bone tissue. One of the world’s purest fish oils from fish caught in Antarctic waters. The oil is extracted from whole fish, not just fish liver and thus contains omega 3,6,7 and 9. Checked for heavy metals, including pollutants. All natural vitamins and organically bound minerals and a patented series of herb extracts, which ensure higher absorption. With extra vitamin D.
10 essential vitamins & minerals. 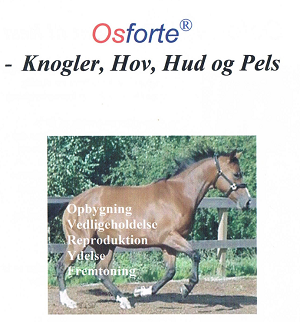 11 active ingredients with synergetic effect for bones, skin, coat and hooves.